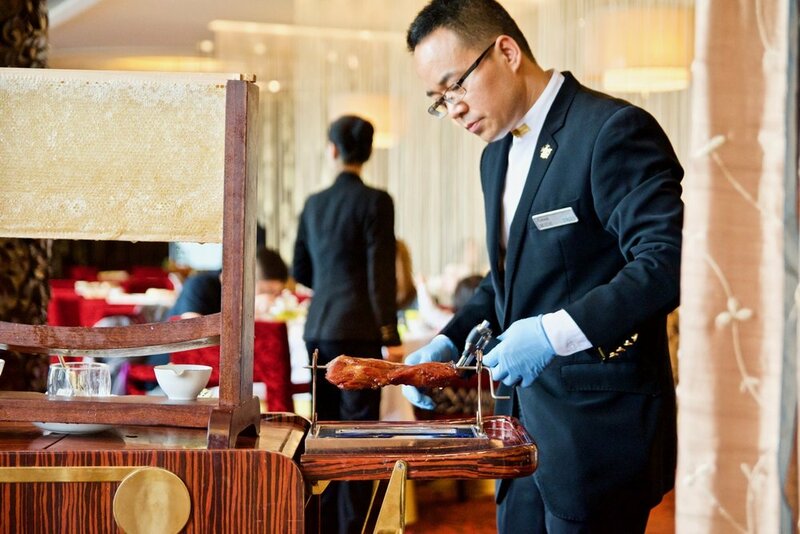 Michelin starred Ying is Altira Macau’s signature Cantonese restaurant. 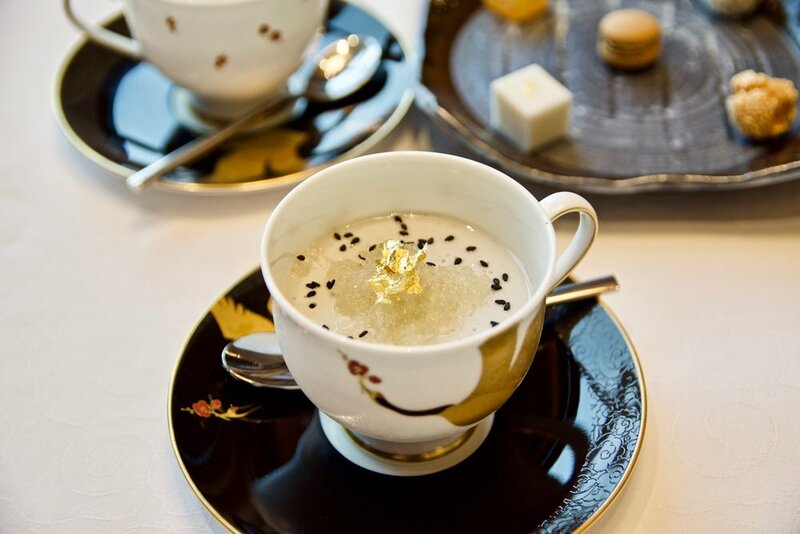 Under the watchful eye of a talented culinary team headed by Chef de Cuisine Andy Lai, the restaurant serves fine Cantonese cuisine alongside truly exceptional service within luxurious surrounds. Ying’s rich design is loaded with innovative visual elements and materials that continuously stimulate interest. Traditional Chinese art and design are used throughout, delicately harmonized with the subtle use of colour, materials and lighting to provide a contemporary feel. A colour palette of Chinese reds and golds is offset by panels of dark ebony with striking grain, and the chocolate and maroon upholstery of custom-made pieces of furniture. Beaded curtains, hand-carved glass panels and silk screens cleverly compartmentalize the dining area to offer a more intimate dining experience. An ornately carved wooden column and exclusive art installations provide further talking points throughout the space. 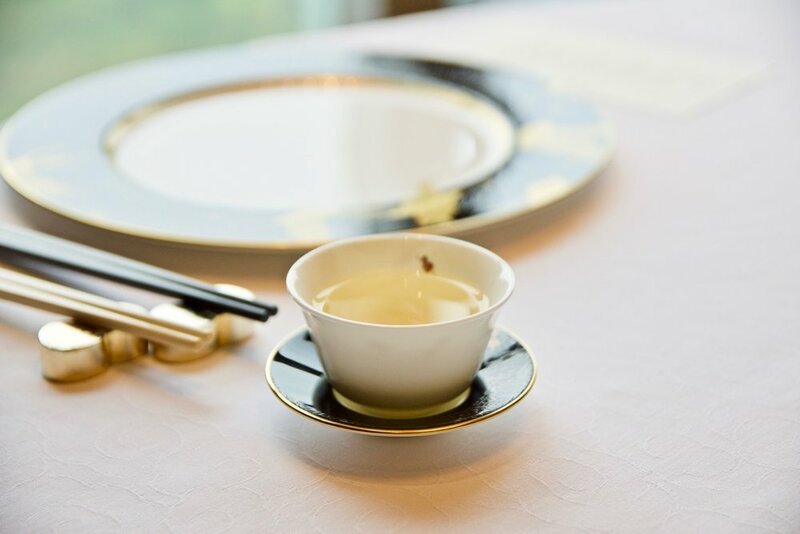 Made from the finest ingredients, Ying’s exquisite menu is characterized by authentic traditional Cantonese dishes perfected over hundreds of years and perfectly recreated for the restaurant’s guests. Ying’s menu also offers an array of dishes that embodies a more modern interpretation of Cantonese cuisine. To match the exquisite cuisine, Ying also boasts a large wine cellar, complete with an intimate wine tasting room, where guests can select their bottle directly from the cellar. Highlights from the menu include the utterly scrumptious flambé iberico pork char Siu (which is flambéed before your eyes) as well as the beautiful stir fried fresh abalone with spring onions and basil. For something a little left of centre for the Western palate, make sure you try the double boiled fish maw with sea conch and fresh fruit. This is a very elegant and subtle soup with delicate flavours. Dessert time continued to please with imperial bird’s nest served with white sesame pudding. We loved the luxurious texture of the pudding which simply melted in our mouths. Location: Altira Macau, Avenida de Kwong Tung, Taipa, Macau.